The Business Advocacy Committee largely contributes to the Chamber profile and effectiveness. Through our advocacy approach we advocate for solutions to improve the business climate on behalf of our members. The Advocacy Committee provides opportunites for members to become involved in the organization by contributing to the Chamber's advocacy efforts. If you are interested in making a difference within the business community, this Business Advocacy Committee may be the right fit for you! Contact the Chamber office to get involved. The primary objective of the Business Advocacy Committee is to work with and on behalf of the Chamber Board and its members to identify issues or barriers to growth for the members, and to develop strategies through which to address and resolve these issues. 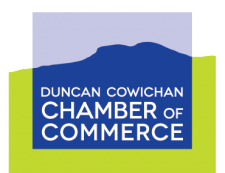 In our continued effort to gain insight and input, we invite you to submit issues or barriers that affect your business or businesses in the Cowichan region. Issues can be municipal, provincial or federal in nature. Please take a moment to complete our Advocacy Submission Form, on this page, submit it to our office and we will be in contact with you. View our Process for Advocacy, so that you are aware of our Advocacy Criteria and Process.